Water-Taxis Alilaguna hall and piers Between Venice and Marco Polo Airport by boat: You can choose to take an Alilaguna Water boat or a Water Taxi. 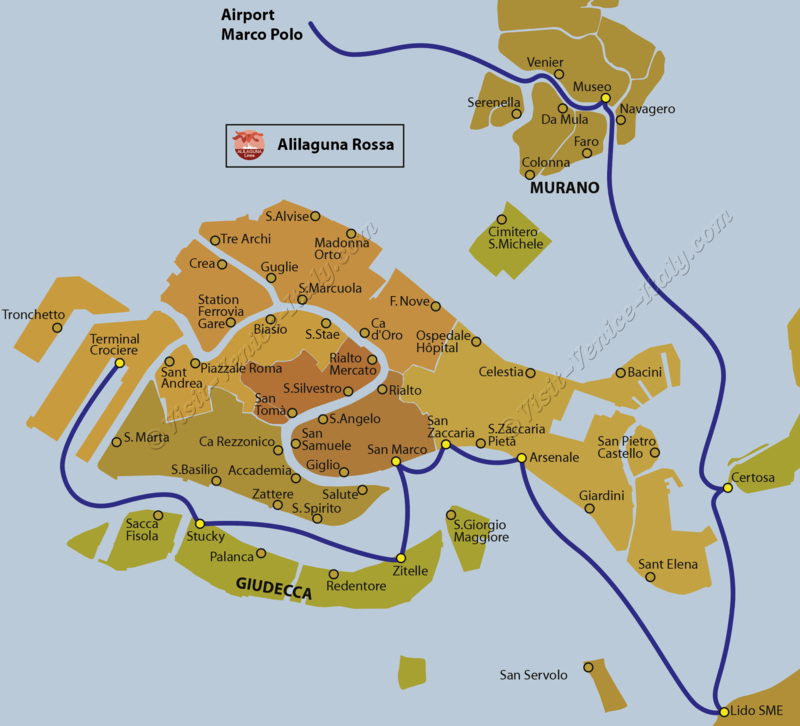 On Alilaguna Lines, children of less than 6-year-old can travel free. 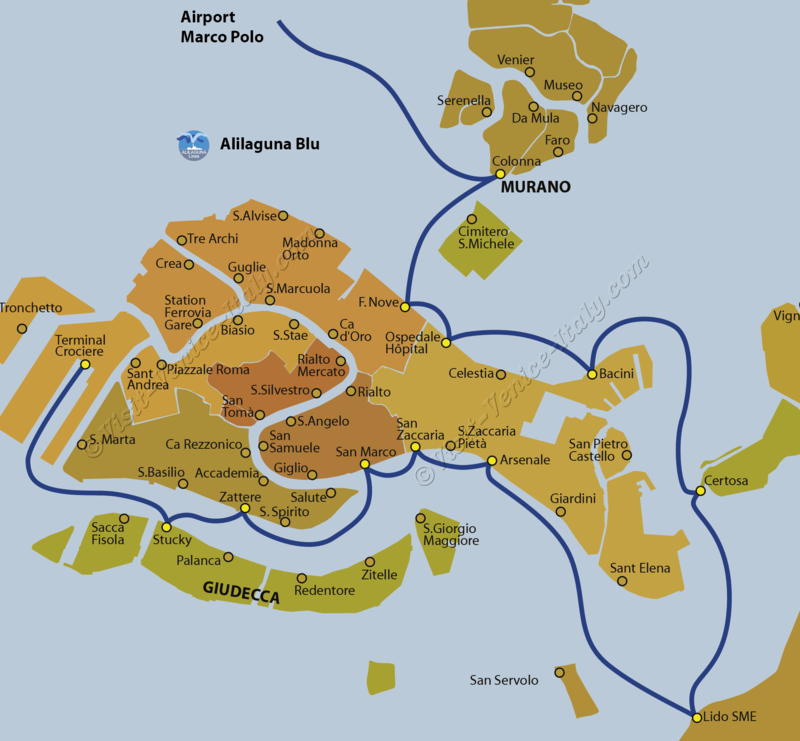 Where to buy your Alilaguna Tickets? In the airport arrivals hall. 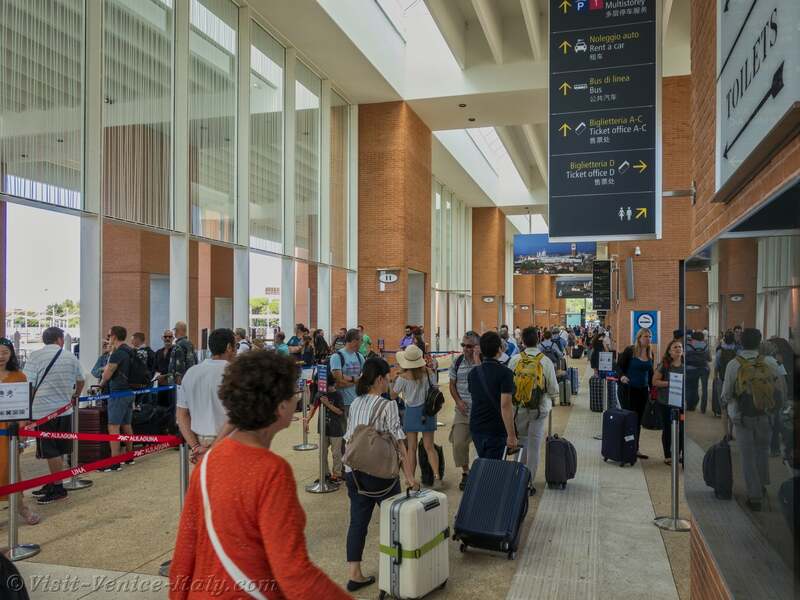 If you have bought your ticket on the Internet, prior to embarking on the water bus, you must validate your ticket at the Alilaguna ticket office near the Alilaguna piers. Alilaguna Blue Line (Linea Blu) takes about 35 minutes to get to Fondamenta Nuove and an hour and a half for Saint-Mark Square. 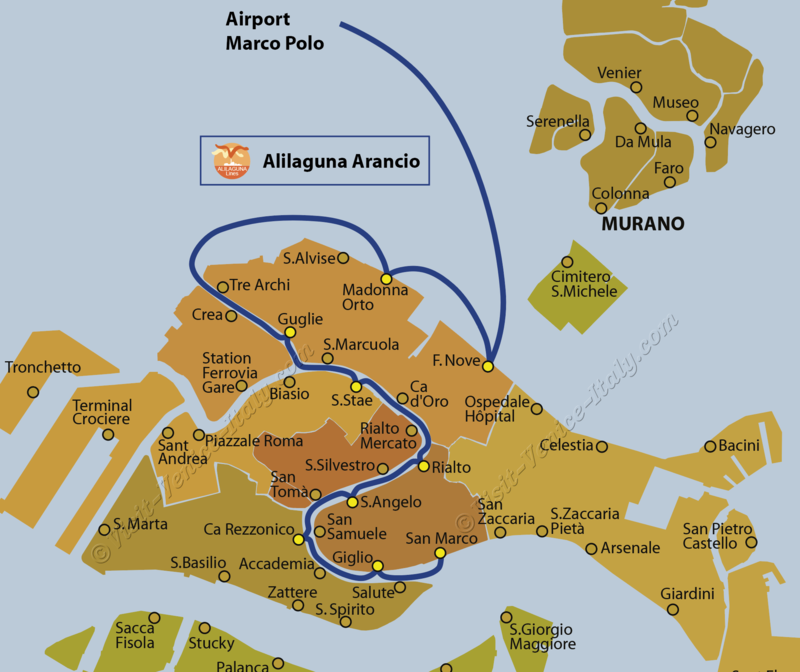 Alilaguna Linea Arancio, Orange Line, takes one hour and 15 minutes to get to Saint-Mark Square from Venice Marco Polo Airport.